Want to live a fully vibrant life? Here’s your map. "Like Jill Pagano herself, Getting Happy With Your Body sparkles with a unique style, deep wisdom, big heart, is easy to get to know and pleasant to be with." 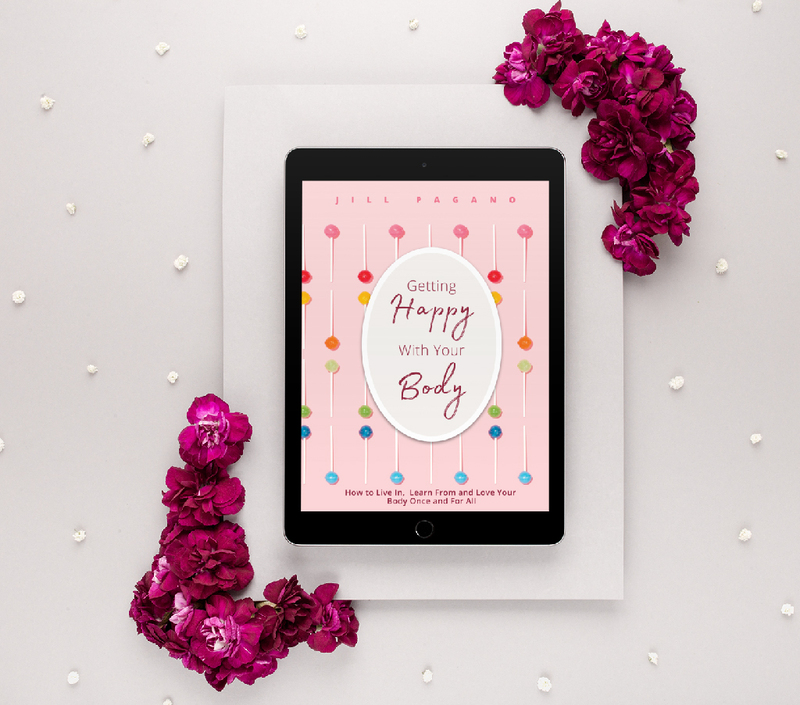 In her provocative debut book, Getting Happy with Your Body, Jill Pagano daringly asserts it's time to stop pursuing weight loss and exercise as your only solutions. In fact, she uniquely proposes the answer to feeling better in your body really starts between your ears. Using breakthrough self-care and journal exercises, you’ll learn how to let go of the “shame and blame” and discover your body as your constant companion, solely dedicated to you. Refreshing and invitingly sweet, Jill’s approach will help you develop a relationship with your body. Start your journey by taking the Happy Body Assessment and get clear on what will bring you more body happiness. Learn when your body is hungry, when it needs to rest and what exercise is good for it, by understanding the language of your body –SENSATION. Become body-centered where you'll turn towards your body for answers, instead of relying on the latest diet nutritional supplement or trainer's advice. 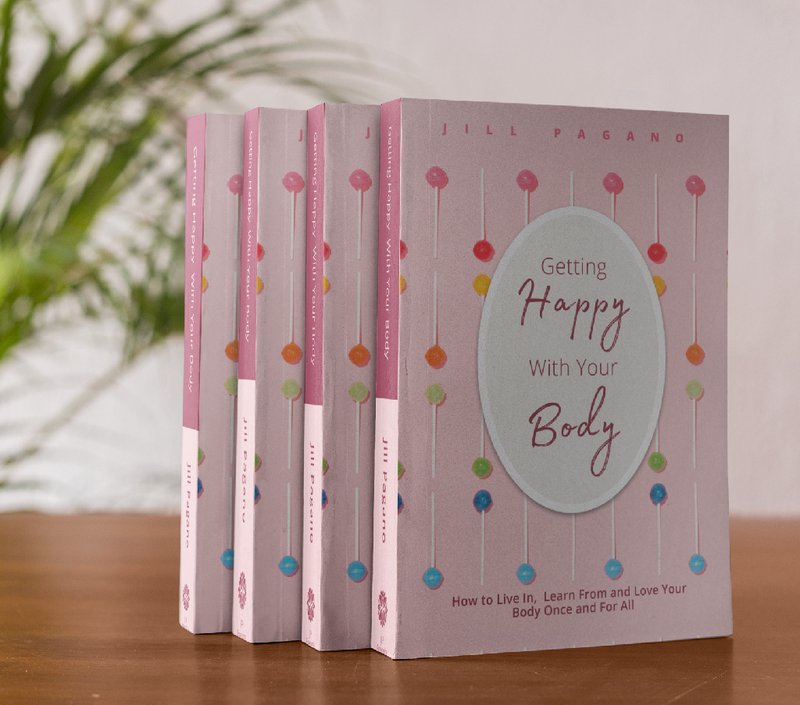 This delightfully uplifting book will inspire and nurture you on a path of renewed self-image, self-love, and better health—regardless of your age, shape or size! that feels like she is sitting right next to you. Her compassionate approach empowers you to create a more loving relationship with your body. "Getting Happy with Your Body has so much depth and heart. Jill’s personal stories are mixed with compelling arguments and deeply powerful life-changing tools."